﻿Find all your Ksources here! The 1st US fanbase for Korean Rock Band CNBLUE. Go Boice!!! E.L.F (AKA ELF) is the name of Super Junior’s official fan club. It stands for Ever Lasting Friends and reflects fans’ aspirations to become lifetime friends with Super Junior and with each other. Diamonds are the fan group of PURE BOY. Just making their debut on November 30, 2014, this group is hitting the scene on major music shows and in the news. Definitely a group to watch! ANGEL UNITED ORIGINATED AS A SMALL GROUP OF ANGELS ATTENDING KCON IN CA AUG 2013. SINCE THEN AU HAS GROWN TO BE SEEN AS TEEN TOP’S US AND CANADA’S OFFICIAL FANBASE. USA I AM Hottest is a project group that organizes physical support for 2PM and 2AM while they are in America, as well as facilitating any projects in conjunction with other fansites and localized fanclubs to show meaningful support for 2PM and 2AM. 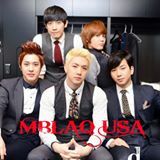 Official American fansite for Korean Boy Band MBLAQ. This is the first place to stop if you want to know about anything in South Korea. Planning a trip? Click on this and the KTO will help you. The latest in Kpop news and more! Get the latest news on your favorite stars. Watch shows online. DramaFever's current library includes Korean Dramas, Latin American Telenovelas, and a wide selection of Asian TV shows and movies for free. Grace Park and Stephanie Maing's CKC’s mission is simple. We exist to teach and spread authentic Korean cooking and food culture across the globe. It’s no secret we like to have fun, and laughter is a key CKC ingredient. Shannon Rudder creates amazing artwork of some of your favorite Kpop artists. Cristina and Daniela, aka the Nutty Nomads are two fun and witty Hallyu fans who love Kpop, Kdrama, Japan, traveling and making videos. Tanya is unapologetically obsessed with Asian culture (particularly Hallyu, but includes ALL of it). Join her as she shares her love of Kpop and Kdramas. One zombie, Leah, reviewing as many K-dramas as she possibly can, obsessing over all her K-pop biases, occasionally found rambling for DramaFever Drama Clubs… Now and forever, hopelessly addicted to all things Hallyu.